MILAN (Reuters) -- Italy's Industry Ministry confirmed that talks continued with potential buyers of the De Tomaso sportscar brand including BMW, a trade union said in a statement on Thursday. The ministry aims to start a sale process by mid-October. Representatives from the ministry, the unions and the local governments of the Piedmont region and the city of Grugliasco met on Thursday in Rome, the union said. 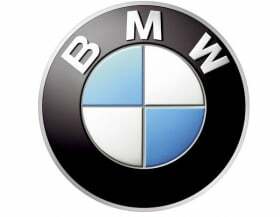 "We had confirmation that talks with possible Italian partners [who would buy the structural assets] and with BMW continue," said Giuseppe Anfuso, Turin secretary of the UILM trade union in a statement after the meeting. A spokesman for BMW said in May the group had no interest in the De Tomaso brand or any of its sites. The automaker did not immediately reply to a request for comment from Automotive News Europe. A botched De Tomaso turnaround fell through earlier this year. The buyer had purchased a former Pininfarina factory on the outskirts of Turin and aimed to produce SUVs and sports cars under the De Tomaso brand. The plan's collapse left about 1,000 workers unemployed and pointed to the difficulties local authorities face in restarting shuttered car factories.